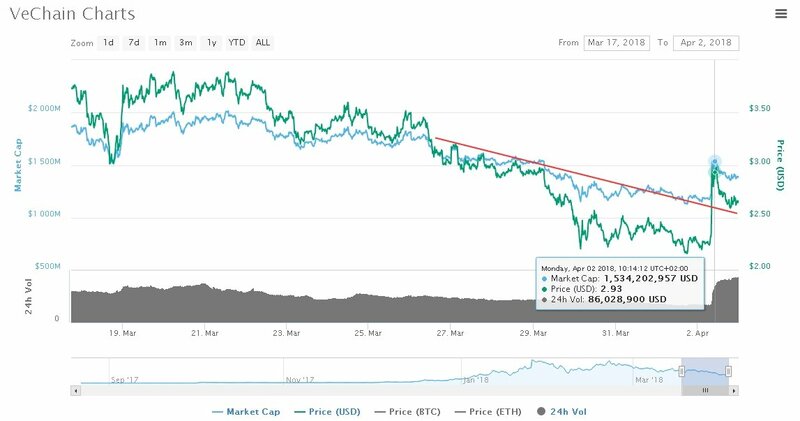 On April 2nd, 2018 – Stellar [XLM] is showcasing a unique gaining pattern in comparison to the cryptos, even the leader Bitcoin, by reaching the $0.2239 mark with 8.34 percent increase in the last 24-hours. 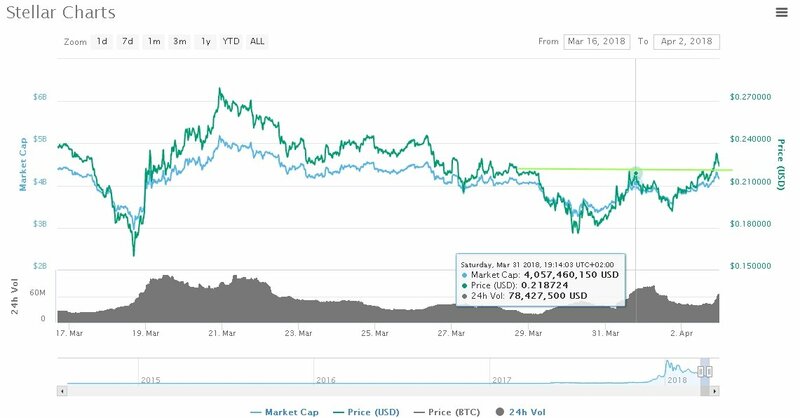 Obviously, the important $0.2000 support will be playing a major role if it holds ground, however for the time being it is recommended to stay on the look-out for the $0.2100 as it is playing a vital role on opening gates for more return in the present price development. One of the Stellar-impacting factors that hoisted bulls over the weekend was the announcement that IBM made as it has been given the green light to be used as an infrastructure for cross-border payments. Accordingly to the declaration in October 2017, the partnership made between IBM and Stellar was meant to be utilized on its best by IBM’s cross border payments. The plan set in motion was targeting to make international payments faster and easier in which case Stellar was chosen to be the supportive technology. It’s LIVE… – IBM on Stellar Lumens. The announcement hoisted the pair VEN/USD in just a couple of minutes from $2.27 to $2.98 in which event the boring/not recommended to step-in declining trend was cleared out for the time being. VeChain for the time of writing is surging with 17.01% in the last 24-hours with a market capitalization of $1.3 bil. VeChain (VEN) is a blockchain cryptocurrency that operates on the BaaS (Blochchain-as-a-Service) framework. VeChain’s main objective is to decentralize and transform how global business supply and management chains are monitored. VeChain aim to achieve this through the provision of a faster, transparent and trust-free platform. To put it into perspective, VeChain works with the manufacturers and suppliers to prevent counterfeited goods from being sneaked into the market at the expense of the general public. Every item on the VeChain database gets a unique VeChain Identity (VID). The special IoT tags the company assigns each product QR Codes, Near Field Communication (NFC) chips or unique Radio Frequency Identification (RFID) tags.